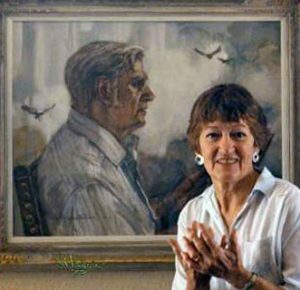 The Frederic Whitaker and Eileen Monaghan Whitaker Foundation (The Whitaker Foundation) is proud to announce the next round of its nationwide Art Scholarship Program, The Whitaker Foundation Art Scholarship Fund. The Foundation intends to support art students with a special emphasis on watercolor and museum studies and to help them meet the diverse needs of today’s professional art and museum world. Through the application process facilitated by The Whitaker Foundation, students are required to gain knowledge of the Whitakers’ works through their submitted essays or watercolor paintings. Once the students’ works are evaluated, winners will be selected and the scholarships will be awarded for the Spring 2019 semester. 3. Must be an American Citizen or a legal resident (with a green card) of the United States. Scholarship winners will be asked to submit their social security numbers. This is an IRS requirement. 4. Must be 18 years or older at the time of entry. Applicants will be REQUIRED to submit an OFFICIAL TRANSCRIPT should they be selected for the scholarship. Transcripts MUST be sent from the applicant’s school and MUST BE received within TEN DAYS. Schools may send the transcripts via the internet. All Bachelor of Fine Art applicants MUST submit images of TWO original WATERCOLOR paintings. All watercolor paintings MUST have been painted after January 1, 2018. Applications with only ONE image or MORE THAN TWO images will not be considered. All Art History and all Museum Studies applicants MUST submit an essay responding to the question asked on the application. The recommended length is 500 to 750 words.